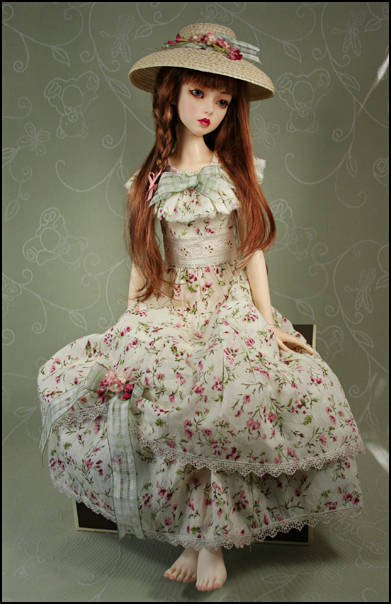 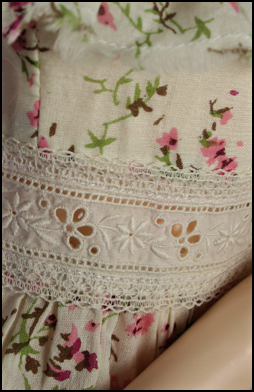 This dress is made from a beautiful feather weight cotton and is trimmed with vintage lace. 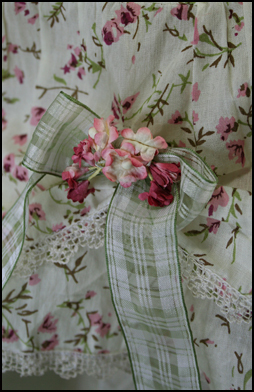 The skirt is tiered with two layers in the bottom tier. 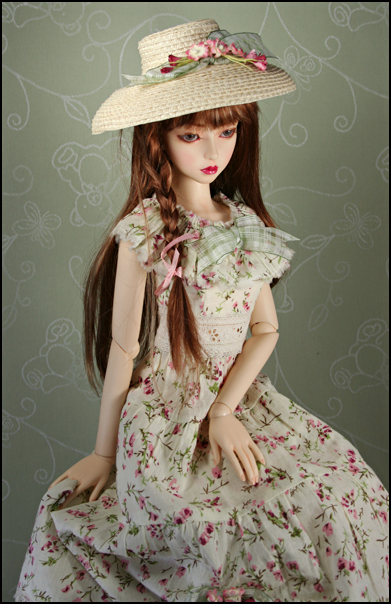 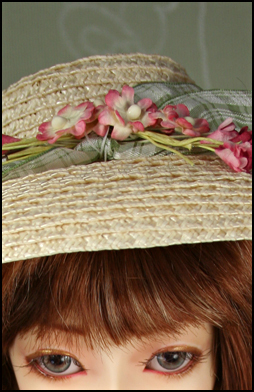 The hat is hand made with straw braid and trimmed with paper flowers and ribbon. 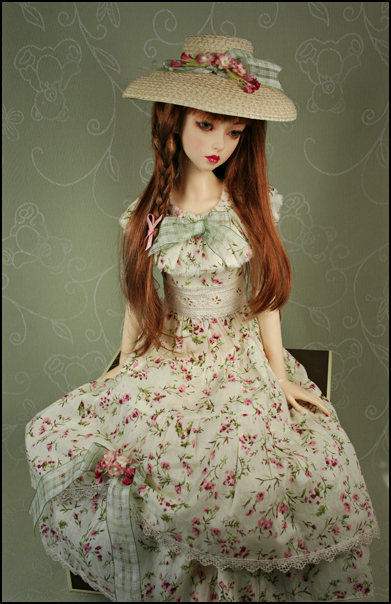 Includes: Dress and hat.